Welcome to our 2018-19 shule year! 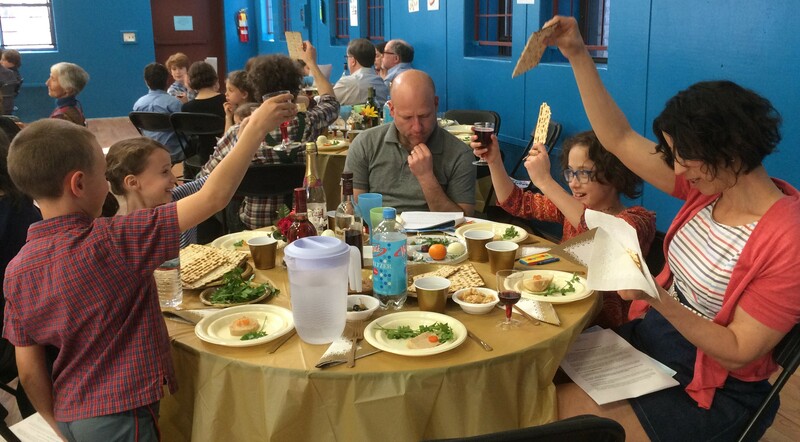 Thanks for making our 2019 Community Seder such a special celebration! The Kinderland Shule offers a secular Jewish education, based on a rich heritage of history, culture and literature, rather than on religion. Our goal is to help children embrace their secular cultural identity, and to see how that connects them to others. 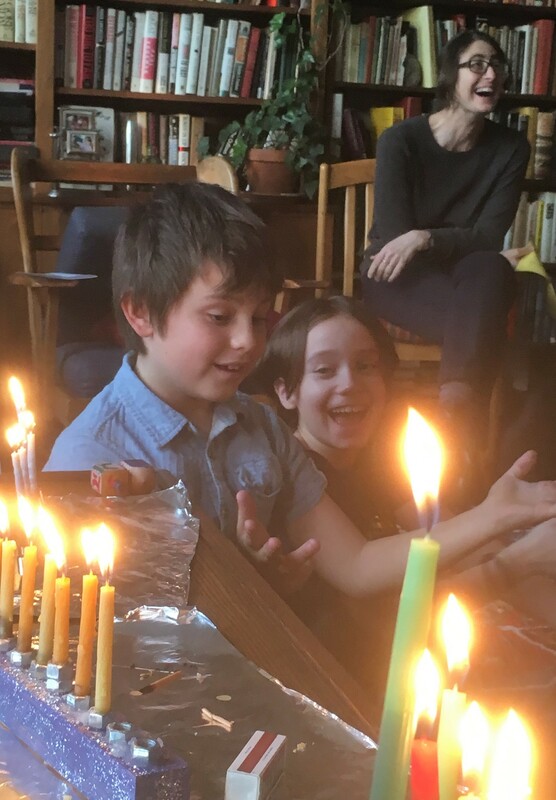 The Shule curriculum examines various aspects of Jewish culture and heritage; these offer a philosophical base that leads us to seek and promote social justice in the world. For children whose heritage is not exclusively Jewish, the Kinderland Shule is uniquely appropriate. Our philosophy is one of inclusion that draws parallels between the struggles of all peoples; to be complete, a Secular Jewish education must of necessity include other histories and cultures. Students learn to link their different backgrounds and forge their own identities, both as individuals and as part of a larger community. Your children will study Jewish history, literature and identity. They will learn about who they are and how they got there, and draw connections across generations of ancestors. They’ll learn about Jewish roles in historical social movements, and how people have dealt with racism, anti-Semitism, and bigotry. 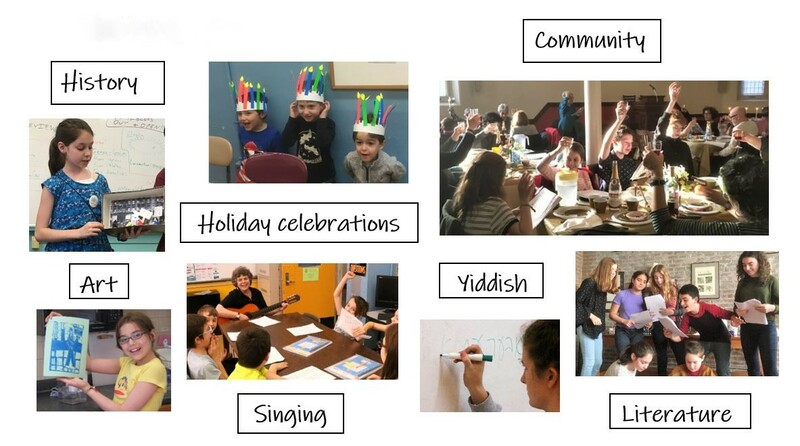 And they’ll have an opportunity to absorb Jewish culture: stories, poetry, music, dance and the Yiddish language. Very young children come on a special schedule to learn about the holidays through stories and crafts, songs, dances, and games. They add an especially joyful note to our celebrations of Chanukah, Purim and Passover! A Shule education is a unique gift to give your children: the understanding that they are part of something greater than themselves – a community that they can both help define and help preserve. The Kinderland Shule meets on Wednesday afternoons at 4pm in Park Slope, Brooklyn.